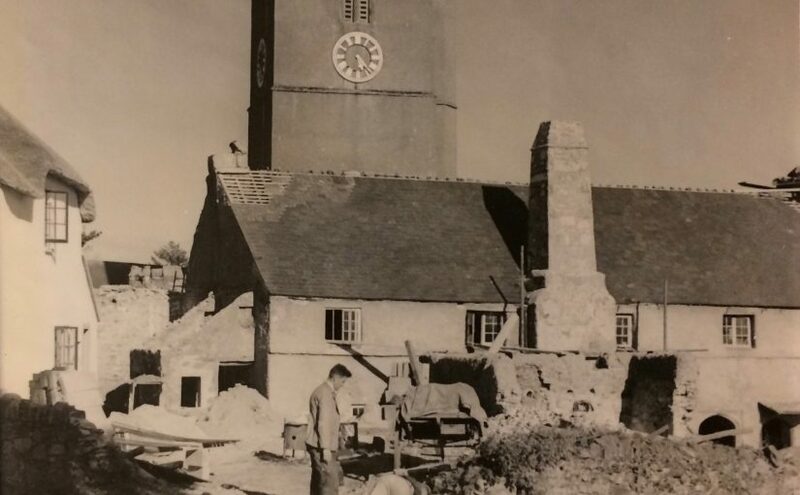 Ilsington Village underwent substantial restoration in the late 1930s, resulting in a number of condemned cottages being made fit for habitation the C20th. Piped water, electricity and mains drainage was brought to the cottages. The work was co-ordinated by Capt Quelch, a local resident who lived at Birchanger Cross, and supported by Local Authority capital grants. At the same time, a number of local authority houses were built in the village. 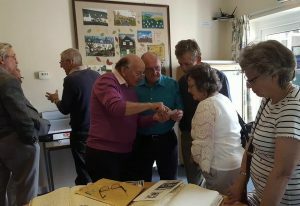 We held a very successful day on Saturday 21st April, entitled ‘Saving a Devon Village’ – celebrating the renovation of the cottages in Ilsington and Trumpeter. For a full report of this event, follow this link. 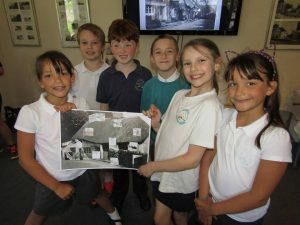 Children from Ilsington Primary School enjoyed the event, in particular thinking about life in a thatched roof! And members of the Honeywill family enjoyed sharing memories.